Fitness continues to be one of the biggest reasons people keep cashing out for wearables. Apple, Fitbit and Samsung all know this. Google does as well, but it’s playing catch up with its competitors as far as making these features an attractive part of its wearable ecosystem. So thankfully there was some good news for Wear watch owners this week who like hitting the gym, going for a run or simply getting out for a walk. There was also reasons to be cheerful for Fitbit fans too as the company unveiled its latest fitness tracker and proved it’s not totally about the smartwatches these days. In other news, LG gave its sports headphones some smart assistant love, Garmin teamed up with Disney again for new Vivofit jr 2 kids fitness tracker models and a startup made a wearable for football supporters that lets them wear their season tickets on their wrist. If you’re all about the biggest stories of the week though, we’ll get into those below. Plus we’ve also picked out the best reads from across the site including our verdict on Garmin’s latest budget golf watch and a look ahead to the future of smartwatches. RIP fitness trackers? Not according to Fitbit. Despite making moves into the world of smartwatches, Fitbit is not leaving behind the wearable that made it the company it is today. 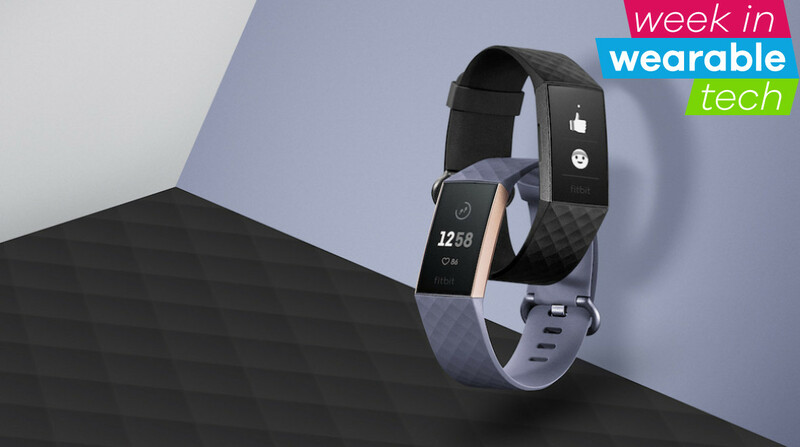 The Charge has always been the most feature-packed of the Fitbit tracker family and it’s more of the same with the latest instalment, the Charge 3. Taking design inspiration from the Versa and Ionic watches, it’s now waterproof, slimmer and fits more naturally around the wrist. Annoyingly, it still doesn’t include GPS but does now support swim tracking, new goal-based workout modes, the ability to view all of your smartphone notifications and Fitbit Pay (if you go for the special edition). We had some play time with the Charge 2 successor, so you can read our thoughts in our Fitbit Charge 3 hands-on review. Still undecided whether to make the upgrade? Have a read of our Fitbit Charge 3 v Charge 2 comparison piece. Google Fit has been given a makeover and it’s definitely well overdue. While it didn’t introduce the recently-rumored Google Coach smart assistant (maybe it’s saving that for the Pixel Watch), we did get a facelift and new features. The new Fit app for phones and smartwatches shifts the focus away from counting steps to an emphasis on chasing activity goals Google now refers to as Move Minutes and Heart Points. There are even rings you’ll need to close off for the day, which of course sounds it took a little inspiration from Apple. The changes made to Google Fit, specifically the decision to place less emphasis on hitting that 10,000 step goal every day, was also the subject of this week’s edition of Charged Up where we argued that step counts still have a part to play in getting fit. We’re only weeks away from September, and you know what that means: Apple has something new to talk about. It’s usually all about new iPhones, but evidence is mounting that a new Apple Watch will be joining it. The latest indication that the Watch Series 4 is on the horizon comes courtesy of model numbers that popped up at the EEC (Eurasian Economic Commission) that appear to correspond with previous Apple Watch model numbers. Basically, if they’ve turned up here, it’s a signal that Apple is readying something new to launch. The model numbers don’t give away any details of what to expect from these new watches other than speculation that the reduced model numbers could indicate that Apple will release fewer versions. Hopefully we don’t have too much longer to find out exactly what Tim Cook and company has in store for us. Thanks for your visiting on this page Fitbit Charge 3, Google Fit reboot, and Watch Series 4 incoming, We hope this post can be a good reference for you and provide useful information for you :-).